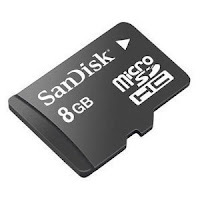 Wow, you can get an awesome deal on an 8GB micro SD memory card on Amazon right now. It only costs $6.50 and you get free shipping! This currently costs $24.88 at Walmart, so this really is a great deal! NOTE: You may have to look on the right side of the page to find this price.